Home > News > Exhibitions are a waste of time? Occasionally we hear of brands and retailers complaining that exhibitions are a waste of time. That’s a pretty bold statement, so we thought we’d take some time to investigate the claim. Let’s start off with some top line statistics. The UK Events Industry is worth £42.3bn, this includes exhibitions, charity events, music festivals, trade fairs, conferences, sporting events, and more. It’s a wide-ranging industry, but exhibitions and trade fairs specifically attract over 13 million visitors every year, generating £11.0 billion in spend. The statistics look pretty convincing (or that’s one heck of an industry built up on something that is a waste of time). So why the doubt over events? 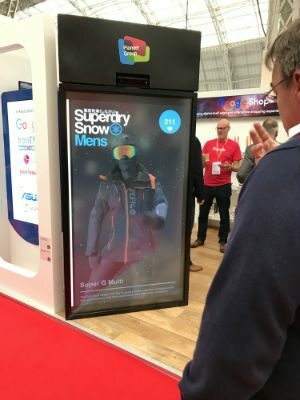 Why would retailers and brands ever feel exhibitions are a waste of time? It all comes down to the planning and execution. (Remember the 7 P’s? Proper Planning and Preparation Prevents….err….hmm….maybe not… But you get the idea). Why do you want to attend an exhibition? It’s a basic question, but you’d be surprised how often this fundamental starting point is missed. Why are you looking to attend an event? What are you trying to achieve? What will success look like? It is all too common to attend an event without a clear idea of why you are actually there. List your objectives before you sign up; what it is you want to get out of the exhibition? Scary stuff? Soon you will know who is attending... and how they are interacting! Who is your target market? Will they be at your exhibition? Take time to research available events before you commit. Talk to relevant trade associations for their recommendations. Also check what your competitors are doing – though tread with care, they may not have done their research either! It is a useful piece of the jigsaw when it comes to making your decision, but only make it one part of that jigsaw. The event starts a long time before the show date. Have you told your customers and your prospects that you are attending? What message will pique their interest? Send emails to contacts. Utilise social media to spread the word to a wider audience. Consider setting up a microsite specifically for the event. Blog pieces are a great way to build interest. Pre-show marketing needs to provide a drip effect, with interesting content reminding people about your attendance at the exhibition. And more importantly, how are you displaying it? Exhibitions are busy places, you need to plan your stand space to draw people to you. Specifically, to draw the right people to you. Humans are visual creatures, ensure graphics are relevant and attractive to your target audience. What messages are you trying to convey? Make sure your graphics represent this. How will you display your signs to ensure they are clearly seen? Consider your layout. Too much is distracting, too little can be dull. Yet, what it is too little or too much will depend very much on the audience you are seeking to attract and the nature of your product. 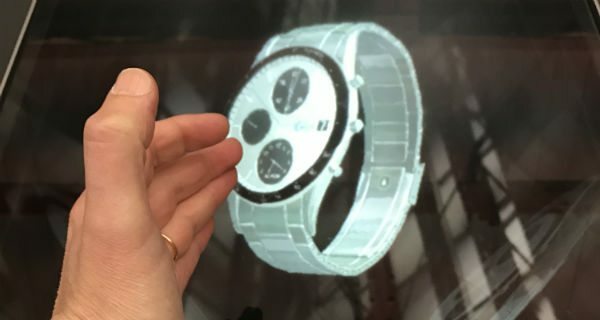 Incredible interactive 3D product display - perfect for a stand! How will you display your products? You need to display your range ensuring items are easy to view. 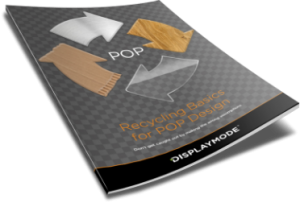 You also need to ensure your display is robust enough to withstand your expected footfall. Your display should look as good at packing up time as it did at the start of the exhibition. To your prospects, the quality of your display is a reflection of the quality of your brand. In truth, this is a big topic for us; we could talk the hind legs off a donkey about displays. If you want to read more of our ramblings about the topic check out our other blog post specifically on this topic. Create a list of your top targets for the event. Contact them before the show to arrange a pre-show dinner, a presentation, or a meeting during the exhibition. The event provides you with a captive audience and brings you into close proximity with your targets; maximise your time while you are there. Who is manning your stand? As a nation, the UK tends to be reserved in our demeanour. We’re not usually ones for pushing ourselves ‘out there’. But if there was ever a time to shake off the nation’s shyness, exhibitions would be it. Now, we are not suggesting you need to be brash, but equally you mustn’t be shy at coming forward. 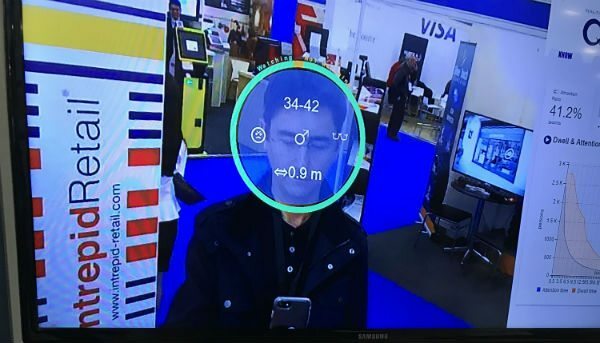 If you feel this will be a problem for you and your inhouse staff, you could consider employing a number of exhibition staff you can brief to draw people in to your stand where you and your staff can take over. Ensure you have enough people to staff the stand so you can each explore the exhibition during your time there. Compare notes after the show. You will learn a lot from seeing what the rest of the market is doing, make new contacts, and help drive new ideas for your business. We are talking about exhibition fatigue. Everyone gets it, but the trick is to not let it show. Rather like a 100m sprint, keep running at full pelt until you get past the finish line. Ease up before the end and your fellow competitors may take the advantage. We mentioned already about proper staffing of your stand, this will help to make sure everyone has time to take a break when they need it. What kind of promotion will you run? What will be attractive to your target audience? A giveaway can help keep you in people’s mind after the event, but only include a giveaway if it is somehow relevant to your business and your message. Particularly in light of increasing awareness around the environmental aspect of unnecessary waste; giving something that essentially amounts to a business version of a cheap party-bag toy may do more to damage your reputation than enhance it. Probably the most important part of your exhibition attendance, and conversely, the most likely to be missed. It is all too common for people to attend a show, pack up, come back to the office and chalk it off the list. In reality, once the show is packed up and you are back at the office is when the bulk of the work should start. Think of it rather like an iceberg, the ice ‘on show’ is but a small part of the whole mass. Follow up with the people you met. Follow up with the people you didn’t meet – more social media work, update the micro site. Add new contacts to your database. Pick up the phone. Email, personalise them where you can. What information did you pick up at the exhibition? Could you work some of this in to blog pieces to drive traffic to your website? Follow up, follow up and follow up. Then follow up some more. Remember the objectives you created at the outset? Review these. Did you meet your objectives? Did you achieve other unexpected things? What could you improve on next time? Calculate your ROI – this can be tricky as the sales process can sometimes be lengthy, however knowing how many people visited your stand, how many leads you generated, feedback received from attendees…all this will help give you information on the payback from your event investment. So then, back to our original statement – ‘Exhibitions are a waste of time’. I think we can conclude that YES they are a waste of time. …if you go along blindly without proper planning. But, with the right thought and effort before, during and after the show? If you plan and execute it right, I think we can safely say that exhibitions are a worthwhile investment of your time and resource. As with much in life, what you put in is generally what you will get out (taking us back to those 7 P’s). So take the time to research, to plan. Promote yourselves before the show. Maximise your time while at the exhibition. Ensure you have proper, and sustained, follow up. If you do this, then, NO, exhibitions are not a waste of time. Oh, and by the by, here at DisplayMode we don’t feel exhibitions are a waste of time. 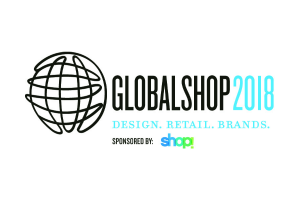 In fact, we’ll be at GlobalShop in Chicago on 27-29th March. 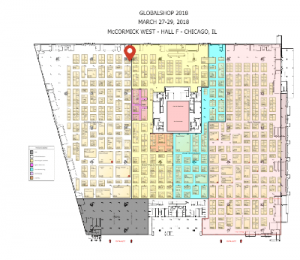 Visit us on at booth 2158 to see what we are up to. Want to know more about POS?